Kino Vino, the supper club that combines film and food, is hosting a Greek supperclub at Palm2 in Clapton on Saturday 5th March, with a screening of the Pauline Collins / Tom Conti classic Shirley Valentine. The chef this time is Despina Siahuli from Athens, who has worked with French & Grace among others, and the night costs just £40. Souds great! "To celebrate the end of winter, KinoVino creates a Mediterranean-themed gathering, taking you on a holiday to Greece for one night. Forget the misery of London winters, as you enjoy a delicious home-style Greek feast, accompanied by quality Greek wines and traditional cocktails. The holiday theme is prominent in the chosen film of the night too – an absolute classic of British romcoms Shirley Valentine. Let’s come together to celebrate romance, good wine and excellent food! 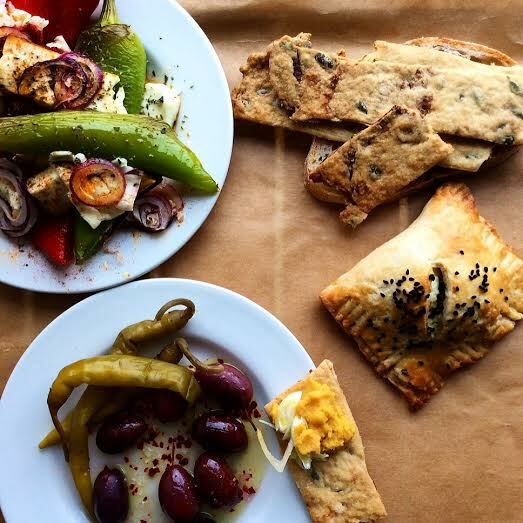 I am delighted to partner up with a London-based Greek chef, Despina Siahuli, who will treat us to a traditional Greek dinner, recreating the atmosphere of sharing a meal at a family table. Expect classic and authentic dishes, presented in most unique, traditional Greek manner. I can tell you now, there will be a lot of bread dipping and occasionally no plates."